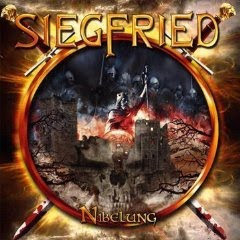 Hall of the Mountain King: Review: Siegfried, "Nibelung"
After being particularly impressed by Elis’ Catharsis recently, I was anxious to check out the latest from Siegfried, Nibelung, featuring vocalist Sandra Schleret from the Elis record. It also didn’t hurt that I happen to be a fan of Wagner, the original metal musician, so I was intrigued by the theme of the record. This record is, apparently, the third in an attempt to do a metal version of Wagner’s operatic treatment of the epic German poem Nibelungenlied. I must, of course, say that, being unable to speak German, I don’t know how good their lyrical adaptation is. Of course, that doesn’t keep me from enjoying Wagner’s version, and it certainly doesn’t keep me from enjoying Siegfried’s. It’s a bit difficult to analyze this piece track by track, as it is arranged a bit like an opera, and should probably be taken as a whole. 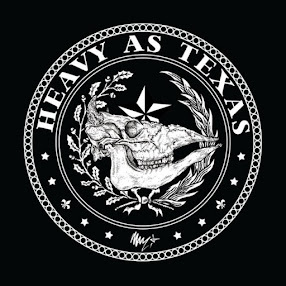 It’s not an album that will give you a few songs here and there to blast on your car stereo as you head down the highway. The closest you’ll come is “Brunhild,” dominated by Schleret, and one of my favorite individual tracks. Rather, Nibelung is an experience. The kind of thing you put on the stereo, lay back and relax with. Unfortunately, these days, I have precious little time to do that, so I’m writing the review a bit on the run. Even without the ability to enjoy the record as I’d like to, though, I remain impressed. There are a lot of different metal styles at work here. The power, goth and traditional you might expect given the scope of the record and the subject matter, but there’s also a healthy dose of raspy black metal in the symphonic bits and the snarls of one of two male vocalists, Bruder Cle. There are also some nice, dark classically influenced bits sprinkled throughout the record that do, at times, recall Wagner in tone, at least. Siegfried also uses three vocalists to provide variety to the characters of the story. Cle, with his decidedly darker vocal style, portrays the villains. Second male vocalist Werner Bialek portrays the hero Siegfried with a slight growl. Schleret handles the female voices with vocals ranging from the more restrained tones that she uses with Elis, to some over-the-top, operatic soprano. It’s all very tight, well done and impressive. If you’re into high-concept metal and don’t mind a bit of the melodramatic, Nibelung definitely deserves a listen.